Conventional wisdom holds that you learn from your mistakes. But it's a mistake to think you need to make mistakes in the first place. We say, better to learn from the successes of the most successful. 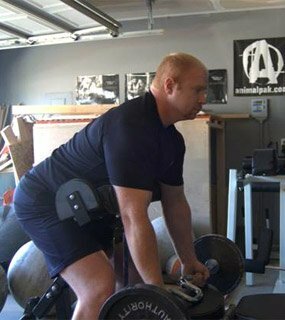 We've provided a way to train your entire body based old-time exercises the masters used to develop their greatest physical assets. Think of this as the perfect workout, distilled through time. Or, if you prefer, add any of these moves into your routine to bring up your weaknesses or perfect your strengths. The important thing is recognizing how important these giants of the past -- and their trailblazing knowledge -- are to your future perfection. Execution: Arnold began his shoulder presses by holding a dumbbell in each hand with his palms facing his body and the weights at shoulder height. 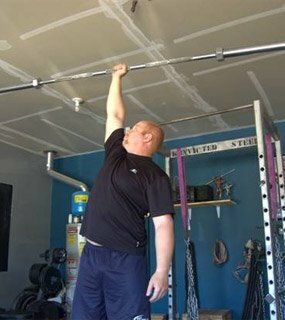 As he pressed the dumbbells to overhead extension, he twisted his forearms so that his palms faced away from his body at the top of the move. Purpose: Arnold claimed this was the best move for developing shoulders. "This move creates a greater range of motion than standard dumbbell presses because it incorporates rotation, an important function of shoulder movement that few other moves include," says Tom Seabourne, Ph.D. "When you raise an object overhead, you will naturally use rotation." Seabourne says this move is also great for working around a shoulder injury. 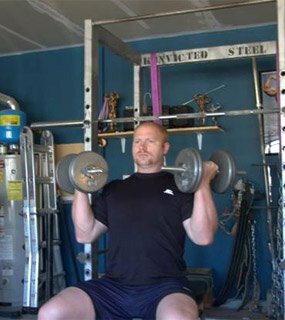 "Finally, this move provides the variety needed to stimulate more muscle fibers and growth." Comment: Before he terminated or governated, Arnold supinated. Execution: This 1950 Mr. Universe, who acted in numerous Italian muscle films, performed this signature move to help build his Herculean physique. 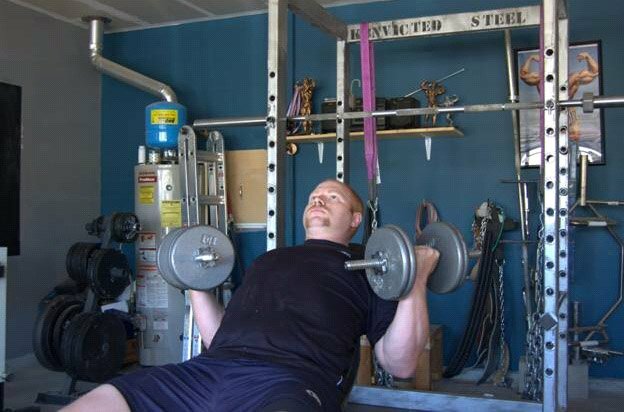 He put 45-pound plates on a barbell in the reverse position so the numbers faced out. 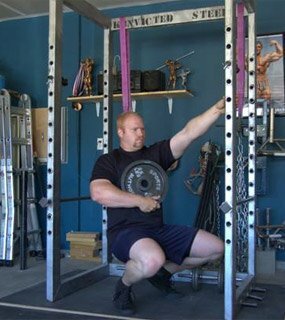 Reeves grasped the rim of the weight plates rather than the barbell itself, bending at the knees and hips. Driving through his lower body, and maintaining the integrity of his lower back, he pulled the weight off the ground until he was standing. Then he lowered the weight by bending at the waist and knees until the weights returned to the ground. A truly wide back needs a truly wide grip—duh! Purpose: Reeves claimed this version helped further widen his already wide back. Comment: It's certainly hard to argue with the results that this best-of-his-era legend achieved. Reeves is said to have been able to perform this move with 300 pounds. Grip athletes such as rock climbers can also benefit from this move. 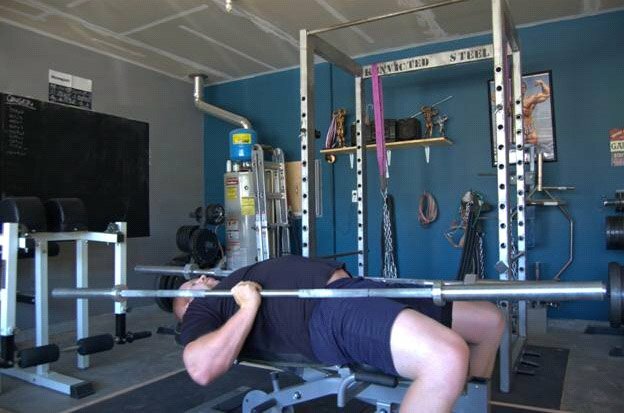 Execution: Lie on a low incline bench (15-20 degrees - about the height of a cinder block under one end). 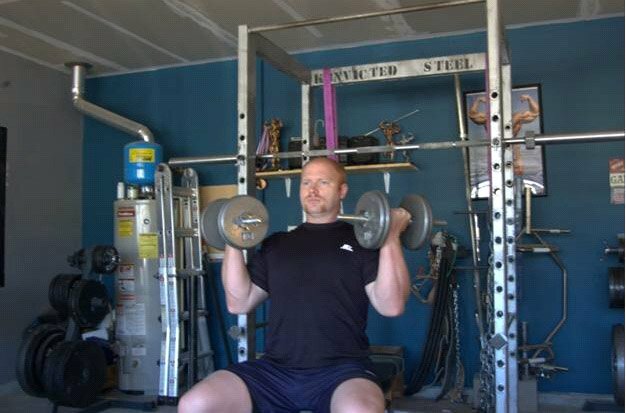 Hold a moderate-weight dumbbell in each hand, with your arms extended and below the bench. Using a slow action, curl the weights up until they're close to your armpits. 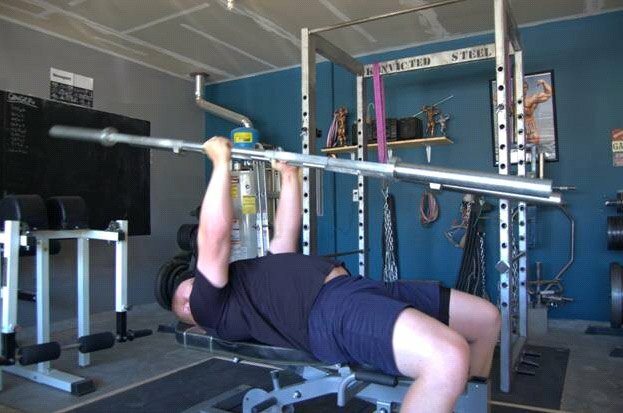 Then twist the weight and begin to press the weight above your chest, performing an incline press. "Keep your form meticulous and perform 10-12 reps per set," Draper says. Two exercises in one—efficient AND excruciating. Purpose: "This move is great for warming up, for using as a multi-body-part stimulator -- you also use your triceps and shoulders as supporting muscle groups -- or for rotator cuff conditioning," says Draper. But he cautions against using a heavy weight if you're rehabbing. Comment: "It's the thrusting transition from curl to press that really grabs you," says Draper. "At the beginning, the set is fun, but then it turns nasty." 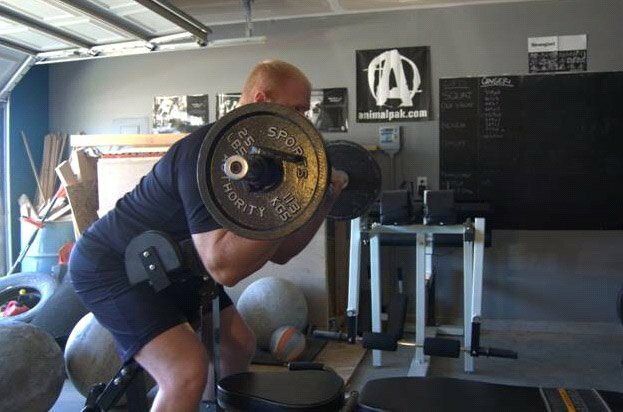 That's particularly true if you maintain a slow pace of about five seconds to perform the full rep with good form. 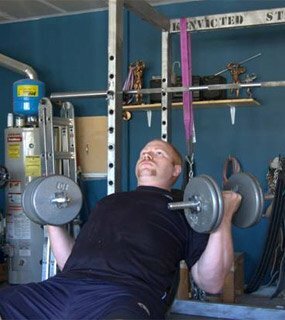 Execution: Grasp an EZ curl bar in both hands, and place the backside of your upper arms against a Spider curl bench (a vertical "preacher" bench). 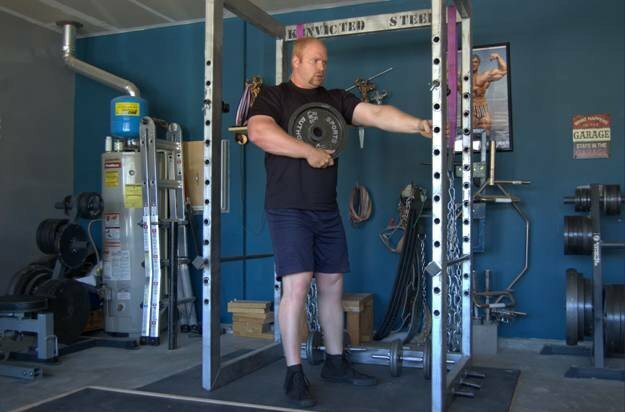 Press the backside of your arms against the vertical pad. Raise the weight until it's at shoulder height. To complete the rep, lower the weight, feeling a nice stretch in your biceps as you go. "Once you feel the much deeper contraction that you get at the top of your biceps with this move, you'll want to do it every time you train biceps," says Larry Scott, the first-ever Mr. Olympia. Not so "EZ" now, is it? Purpose: This move targets the development of the peak of your biceps, the part many consider most essential for showcasing impressive guns. 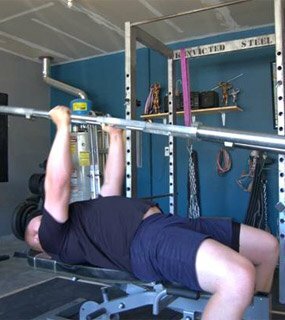 "It also works the inside of the biceps, while the preacher bench works the outside," Scott says. Comment: "I used to say that the only way to change the peak of your biceps was to change your mother," Scott says. 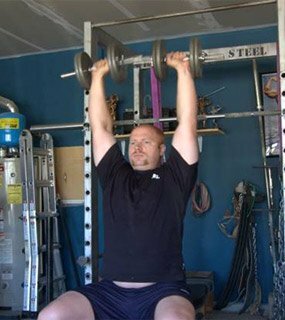 "But I was able to improve my biceps peak by performing spider curls." Scott says the name of the move comes from the first bench, which had eight legs and was designed by Vince Gironda. Target: Shoulders, legs and back. This is a whole-body strongman feat. 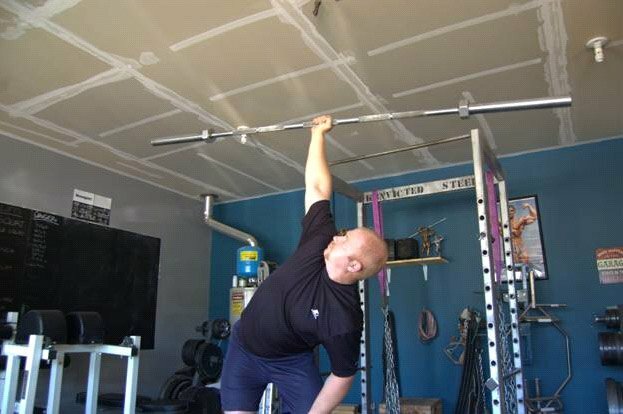 Execution: Stand a barbell upright (perpendicular to the ground), grasping it with one hand near the middle. 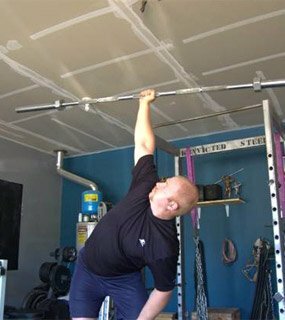 Bend down and put your shoulder under the bar as the barbell begins to tilt to parallel to the ground above your shoulder. 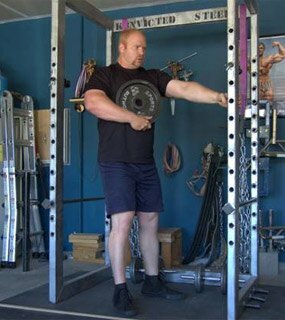 Place your free arm on your free-side knee for support as you fully extend the arm holding the barbell. 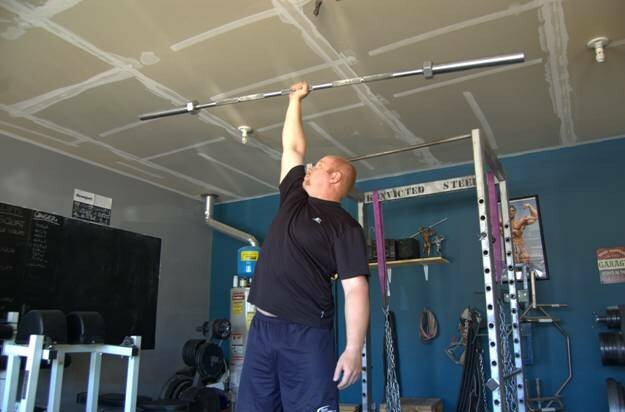 Then stand up so that the barbell is held with your arm fully extended over your head. If you don't like this exercise, then screw you! Purpose: To impress. Still, you can use this move to enhance your own power and strength. Comment: This move sounds more like tabloid journalism than a typical muscle-building exercise. But few people get a prestigious trophy named after them -- Oscar, Emmy, and someone's Grammy. But Eugen Sandow, who made this move famous, is on this short list: Each year the Mr. Olympia winner is awarded a Sandow. 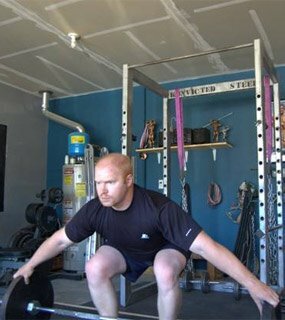 Execution: To perform sissy squats, take a hip-wide stance and place one hand on a support at about hip level. 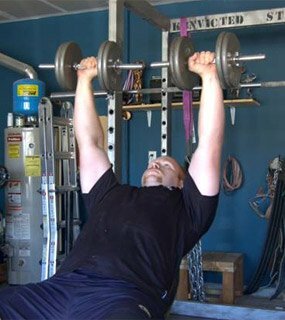 Hold a weight plate against your chest with the other hand. Bending only at the knees (keeping your body straight from knees to head) lower your body. Your knees travel forward as your heels come off the ground, and your upper body moves toward the floor. You'll feel a deep stretch along the tops of your legs. Straighten your legs, pressing your body back to the standing position, feeling a contraction in your quads. What? Can't handle this squat, you sissy? 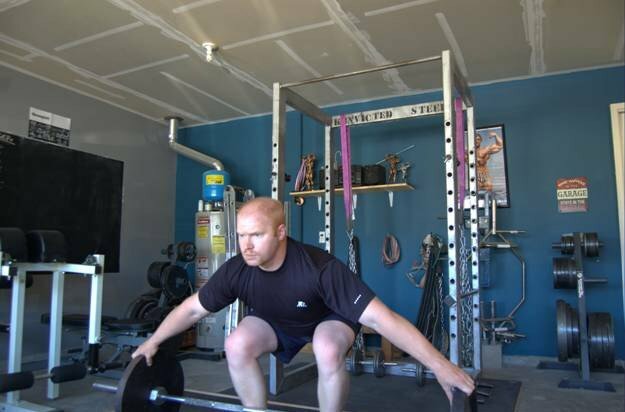 Purpose: Sissy squats directly target the quads, helping to avoid overtraining your glutes when you train legs. Gironda believed that all other leg moves, isolation or compound, were superior to squats for developing legs. Comment: This famed gym-owner -- and one of the original celebrity trainers--was an in-your-face, "get-off-my lawn" curmudgeon. 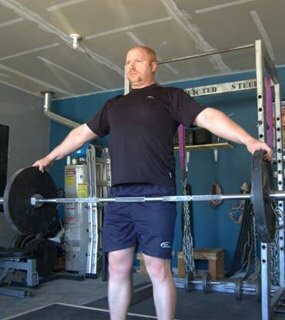 Gym members who performed squats in his gym were threatened with expulsion. Squats were to Gironda as psychotropic drugs are to Tom Cruise. 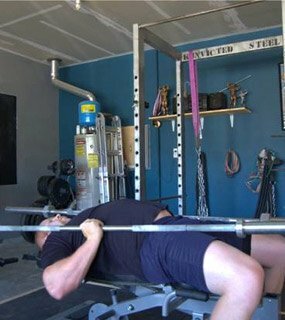 Execution: Lie on a bench holding a weighted barbell in each hand near the center so that the barbells are parallel with your palms facing one another. 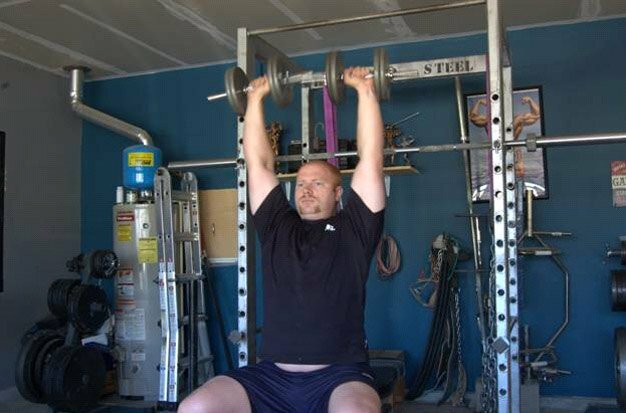 Maintaining control and balance of the weights, lower them until your hands are near your armpits. 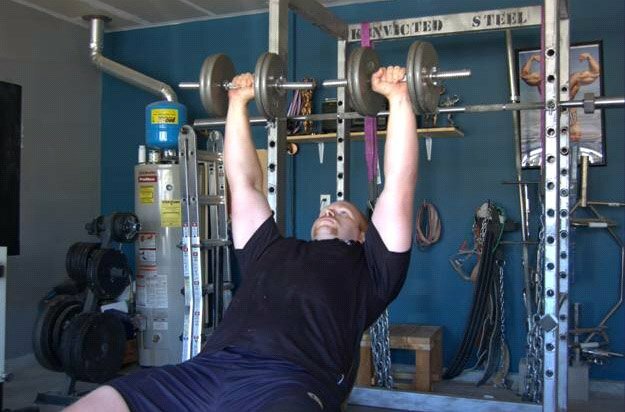 Press the weights back into place using the power of your pectorals. 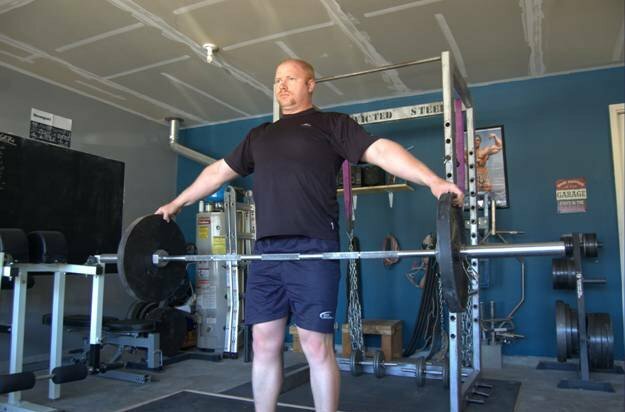 Maintain strict control of the barbells; avoid letting them sway left to right or up and down. Try this exercise on for size. Purpose: This impressive strength feat develops the pecs and, secondarily, the triceps and shoulders. "It's an intense stabilizer workout based on the enormous balance challenge," says Park's son Jon Jon Park, a trainer. It translates well to helping you improve strength for easier moves such as regular dumbbell or barbell presses. Comment: Reg Park, the 1958 and 1965 Mr. Universe winner, was known for his well-balanced development, his incredible strength, and for mentoring Arnold Schwarzenegger. "My father performed this as a strength feature at exhibitions with 150-pound barbells." Park says. But don't try this one on your own. "You should have a spotter for each barbell, Park cautions. Try making these old-school exercises the foundation for three full-body workouts a week. 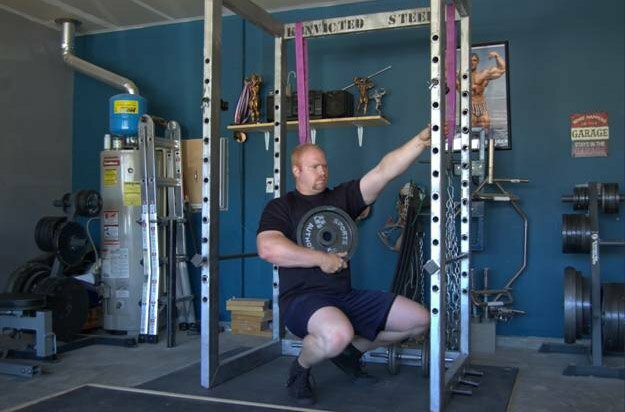 How you build out the rest of your resistance training sessions is up to you. But use all of these moves.